The design of this Art Deco tray is so simple and yet so stylish. 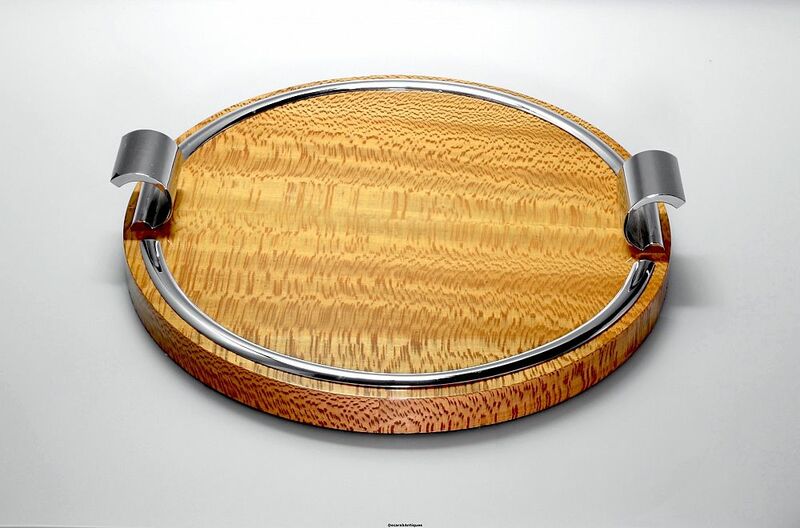 The base is a thick round disc of pear wood veneered wood with two chrome domed semi circles around the outer edge between which sit the chrome handles that are D shaped but with open backs. Great design, useful, beautiful to look at and looks wonderful with the Stuart crystal liqueur set that is on the site.